It seems like animals are always in trend. It doesn’t matter what season or what year but animals or animal print are always in magazines and being seen on runways … it seems like owls have been in style for the last 8 years and aren’t really going anywhere. 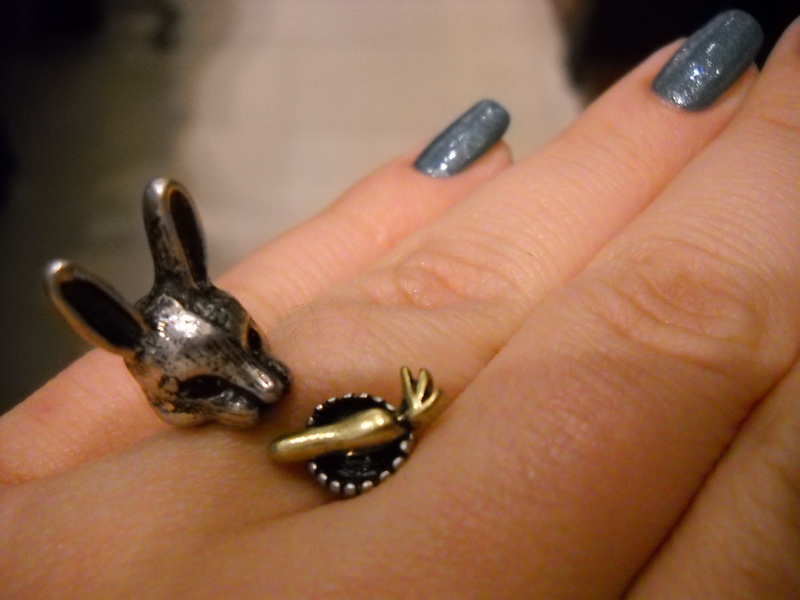 I have always sort of tolerated the animal trends. Sometimes I will rock a pair of leopard print flats, or have a tshirt with a tiger on it, but I’ve never been one to wear the huge custome pieces of jewelry that are the size of an actual puppy. I’m all for a little print, especially in the summer, but I’m thinking this animal trend has gone a little bit too far. On a recent trip to a local jewelry store I explored this booming trend and of course took pictures to share with you guys! Sorry for the quality of a few of these pictures … my camera died half way through me playing around and laughing at some of the ridiculously huge pieces of animal jewelry and I had to bust out the blackberry. But judging from what I’m seeing around the mall, and the prices they are charging, this trend has reached a new pathetic peak. I’m sorry if that is going to offend anyone who loves all the animal stuff, but there comes a point when less is definitely more and understated is much sexier than gaudy. This ring was a little too small but I still had to show how a zebra can go from zebra print and graphics to sterling silver that has the height to cover half my finger. 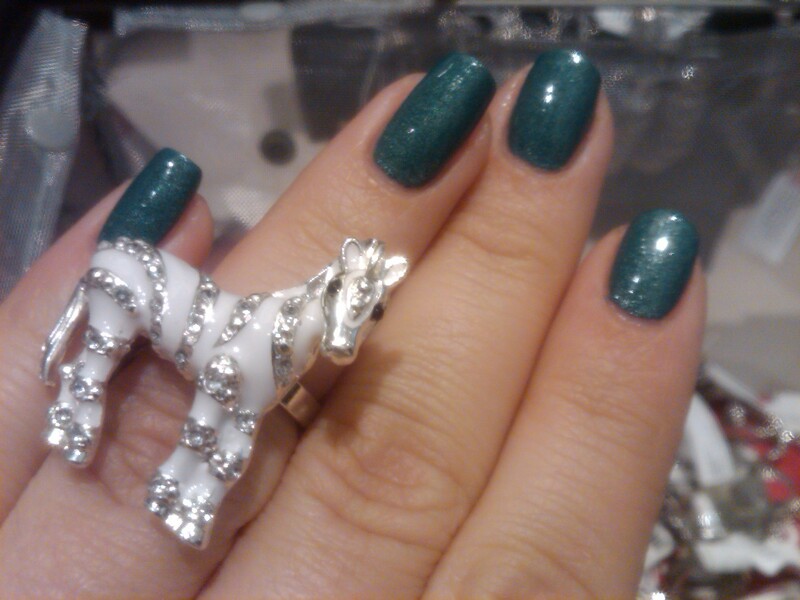 And although a zebra seems like an obvious animal to reproduce in jewelry form, they haven’t stopped there! 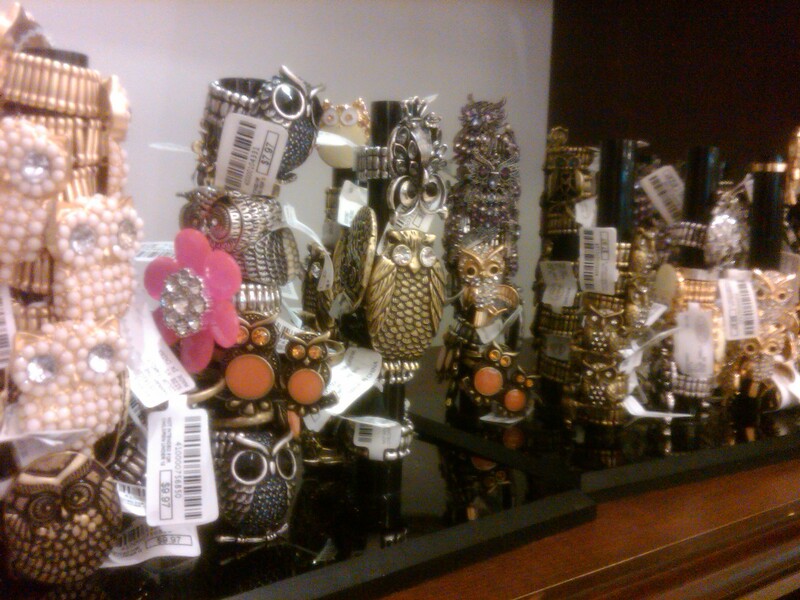 I found rhino’s, rabbits, deer, and an entire shelf of owls and that is just to name a few. This influx of animals into the jewelry realm is not uncommon, just look at year and years of snake bracelets and starfish pendants to know that animals influence art. 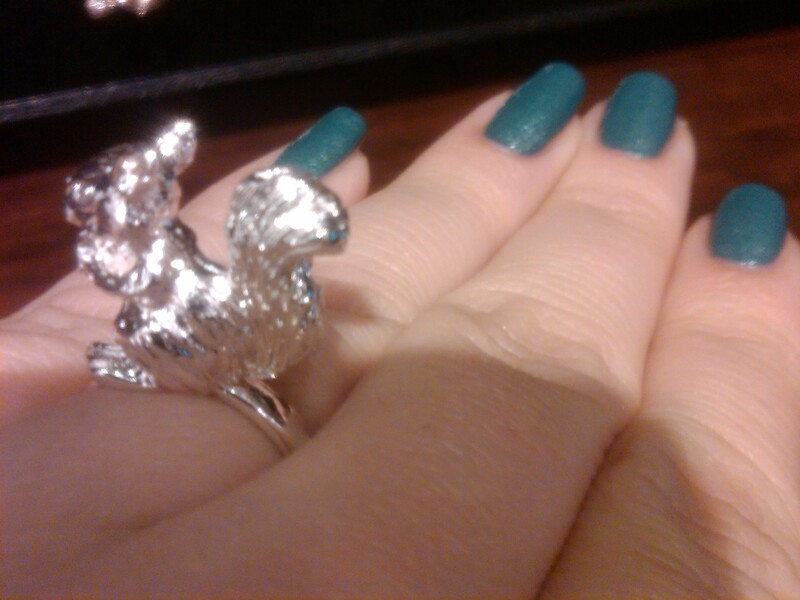 But I am standing firm on my opinion that mice jewelry shouldn’t be the size of actual mice. I’ll admit, the rabbit one is kind of cute. If it didn’t protrude about 2 inches out from my finger I might have contemplated buying it. 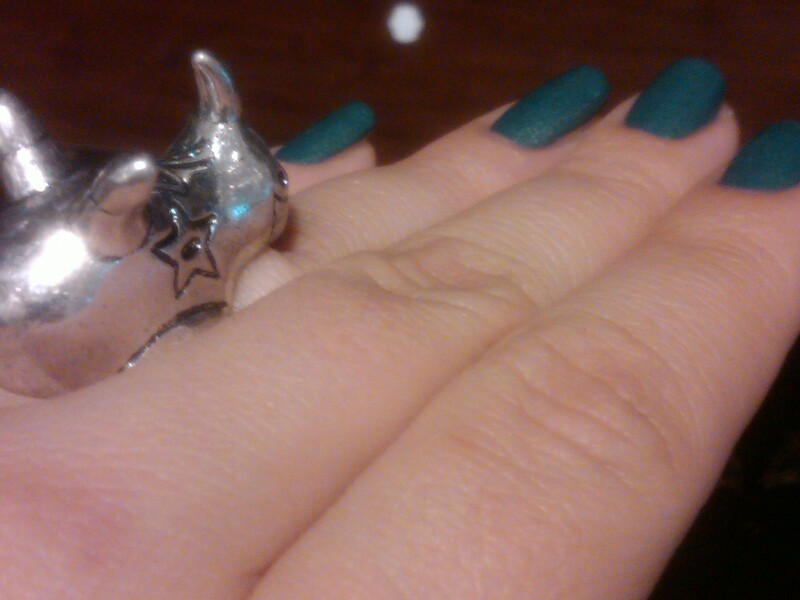 I don’t want people to get me wrong … I do like animals influencing jewelry and fashion. I have leopard print shoes and decorate my apartment with things influenced by animals. I just have an issue with this over-the-top trend. A memo to the companies, unless you’re making billions upon billions and the rest of the jewelry you’re creating, please tone it down. Take it down by an inch or two. And then the trend that has gotten me the most annoyed and just wondering why anyone would waste money on something so “what was I thinking” esque? The newest trend in the wave of anything animal related seems to be animal hoods. If you aren’t aware of what these are, or you haven’t seen the fashion police reports on Khloe Kardashian and her awesomely horrible hood, they basically are faux animal heads as hates. They also extend down pretty far down your body and they retail for something like $140. Please tell me that other people find these are stupid and definitely not fashion forward.